Trapped emotions are what we believe to be emotional baggage and that is carried with us wherever we go. It’s the stuff born from difficult and negative experiences, yet it has the power to keep us stuck in all areas of our life for years to come. 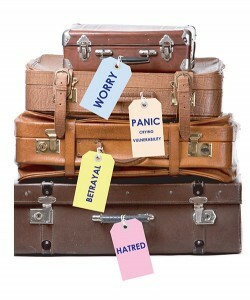 Releasing emotional baggage is not as difficult as you might think. Using the Emotion Code, an energetic clearing process created by Dr. Bradley Nelson, we can quickly identify, easily mobilize, and gently release the negative energy. No long drawn out conversations that entice you to relive the past. Just an easy process that many of my clients say creates a sense of peace and lightness. If I asked you to remember a time when you felt upset, frustrated, angry, heartbroken, grief-stricken, I suspect a specific memory will quickly spring to mind. You might even feel an emotional charge in just thinking about it. At times, we can let go of negative emotions when they happen, but not all the time. What happens when we don’t release them is they become trapped in our bodies and create all sorts of imbalances that can have detrimental effects shortly afterward or many years later. Not only can trapped emotions live in our bodies long after the event, they can even be passed on from generation to generation. Trapped emotions are like balls of energy. Each emotion has its own energetic frequency. When the emotional energy lodges in the body, the frequency affects the nearby tissues. Eventually, those tissues will fall into resonance with the vibrational energy of the trapped emotion thus experiencing that energy on a continual basis. We call this an energetic imbalance affecting the surrounding organs or tissues. The good news is when trapped emotions are released people often go on to live healthier and happier lives. The ways in which we can acquire trapped emotions are many and varied. Basically, anything that produces intense uneasy feelings within us can generate emotions that can become trapped within. Below is a list of circumstances that can produce trapped emotions. In this video, you can witness DR Bradley at work and see how the Emotion code works in practice and what you can expect when you have a session. The Heart Wall is created by the subconscious mind when we are in a state of intense stress. In an effort to protect this vital part of ourselves, a collection of trapped emotions are used as the building material to create a “bomb shelter” like structure. The frequencies of these trapped emotions are wrapped layer by layer around the heart and can we be removed layer by layer as well. The effects of a Heart Wall can lead to devastating effects in health and happiness. Being free from a Heart Wall means we can live more fully from an open heart, create greater abundance, and even find love. Have you ever felt extremely sad, vulnerable, or heart broken? Maybe it was due to an argument, a great disappointment or even the loss of a loved one to break up or death. Or, maybe you’ve experienced a difficult childhood, difficult marriage or the the trauma of being bullied, abused, violated or been through the effects of war. There are many more scenarios that can lead to the creation of a Heart Wall. Even when there is no else is in your life to protect you, your subconscious is. Over time, more and more layers of trapped emotions are added to the Heart Wall just like an onion adds layers and layers while its growing and maturing. The effect of these layers means its harder and harder to show love and to receive it. This “bomb shelter” structure is needed in the hard times but who wants to live in a bomb shelter when the threat is gone? That’s the problem with a Heart Wall. It will stay in place until the emotions are released. It is also suspected to be a factor in heart disease, high blood pressure, chest pain, and heart attacks. 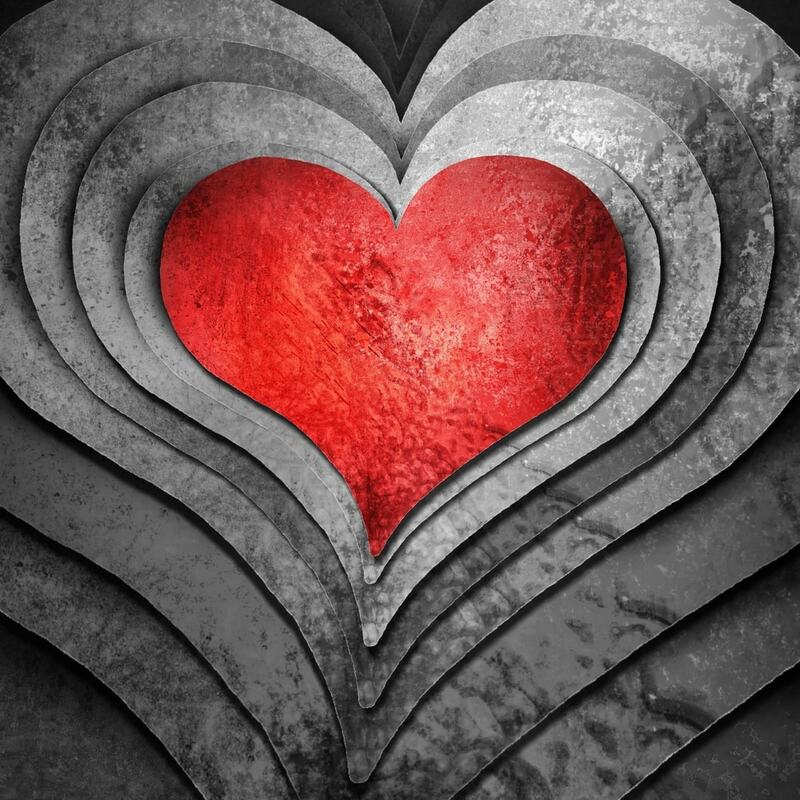 A Heart Wall can protect your heart from being hurt, but it can also prevent you from experiencing love in its greatest and purest capacity and can even keep you from finding true love. When a Heart Wall is present, your love frequency must pass through the energy frequency layers surrounding the heart becoming twisted or diminished into something less than its original, pure intent. The person you are sending love to receives the distorted version which can be why things sometimes don’t work out even when you have the best intentions. Without a Heart Wall, the love frequencies can be sent from our heart to another without interference and the purity of that love can be fully received. Clearing the Heart Wall occurs when we gently and easily release the layers of trapped energies. What’s your Heart Wall made of? The Heart Wall has both thickness and density, and both of these are created by the subconscious. It decides what material it’s made of and how thick it is. Your past experiences can influence both. What your Heart Wall is made of (the density) is as unique as you are. It can be as hard as steel, as crumbly as sugar cookies, or as high-tech as the energy shields used in Star Trek. I’ve measured Heart Walls in inches and centimeters as well as miles and kilometers. Your thickness tells us how much you’ve needed to protect yourself throughout your life. Whether it’s 10 inches or 4000 miles thick, the number of sessions to release it could be the same. When I found my own Heart Wall, it was made of cement cinder blocks. Why cement cinder blocks? I grew up on a farm in Minnesota and every morning I looked across the yard to our barn. It was built of gray, cement, cinder blocks that replaced a barn built in the late 1800s made of wood that had collapsed. The cement, cinder block barn seemed indestructible to me and was a wonderful representation of the Heart Wall I needed. When its ready to be released, the goal is to completely release your Heart Wall. No matter how thick it is or what it’s made of, it can be done. We do this by removing one layer or one trapped emotion at a time. The average number of sessions it takes to release it is between 2 and 4. For those who’ve experienced significant trauma or abuse (including PTSD), it can take more sessions. There are times when more than one Heart Wall can be found. No matter how many, all Heart Walls can be released. Removing the Heart Wall can have immediate effects ranging from subtle to profound. My clients often notice improvements from subtle to profound in their overall life or well being even before the entire Heart Wall is released. They have described shifts in their lives from relief from aches and pains, feeling a greater sense of peace, expanded opportunities, and an improved capacity to bring love into their lives. The trapped emotions making up your Heart Wall will not return. However, it’s possible to have a new Heart Wall develop as you face new challenges and events in your life. An annual check for the presence of a new Heart Wall is recommended. If you do experience a new major life event, I’ve found my clients have greatly benefited from a session soon afterward. This enables them to release the new trapped emotions before they have time to take hold and negatively impact their life.